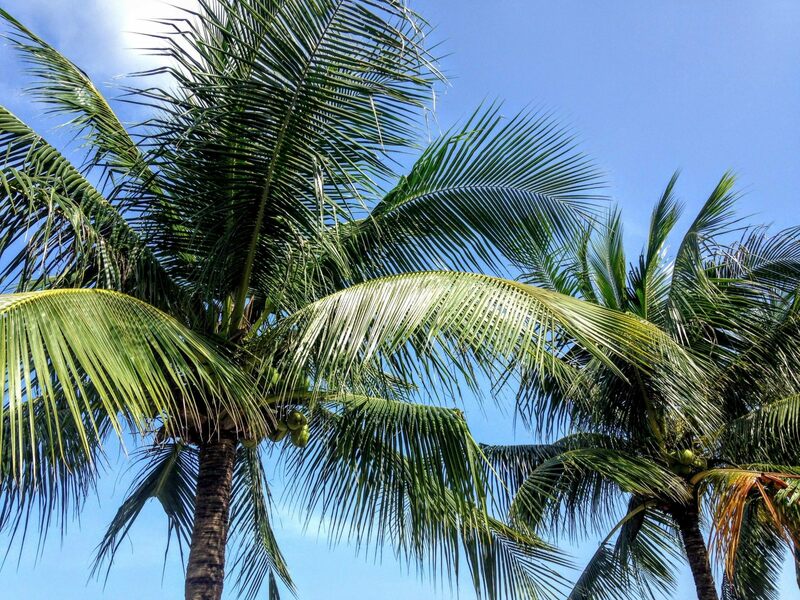 Hoi An is a must-see in Vietnam especially if you're looking for something authentic. There is a peaceful atmosphere floating in the air of this old town full of history. 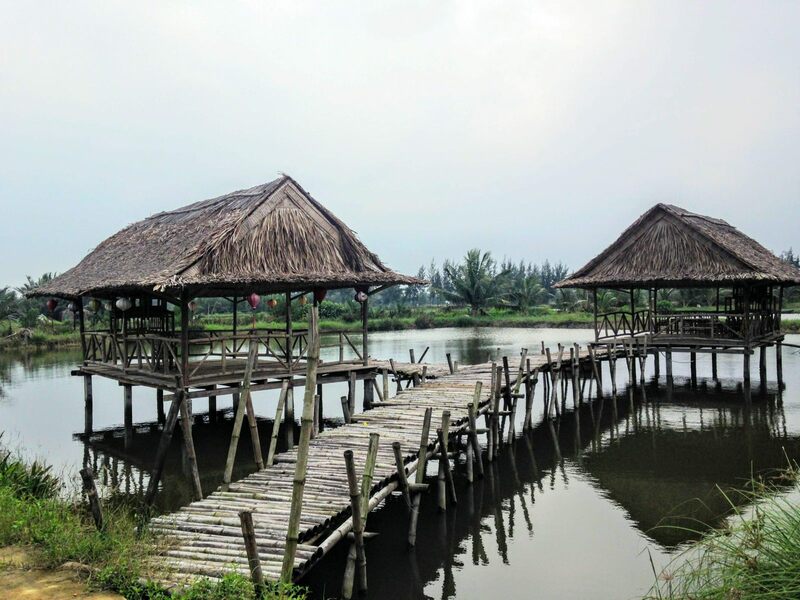 The countryside also has a lot to offer with its rice fields along the river and its sandy coast. 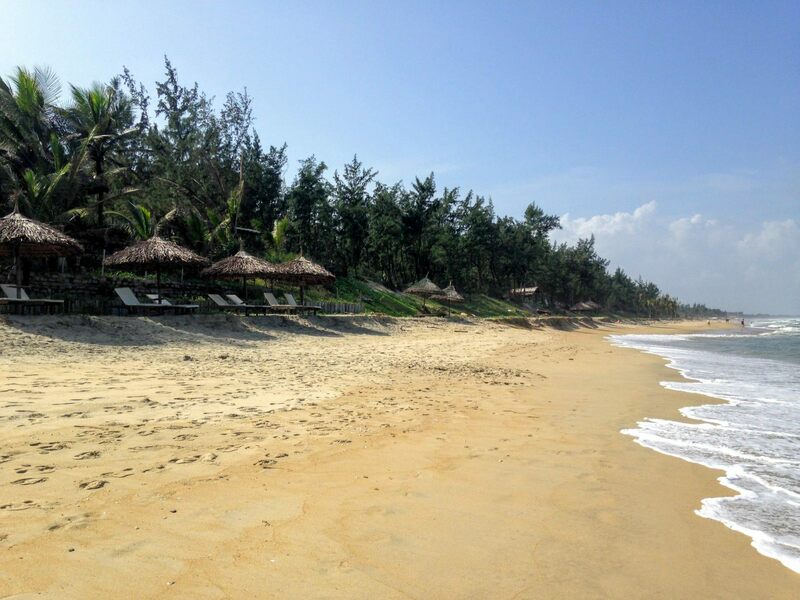 Don’t be in the rush, Hoi An might keep you longer as you expected! The Ancient Town of Hoi An is a UNESCO World Heritage Site which means you will have plenty of places to visit. 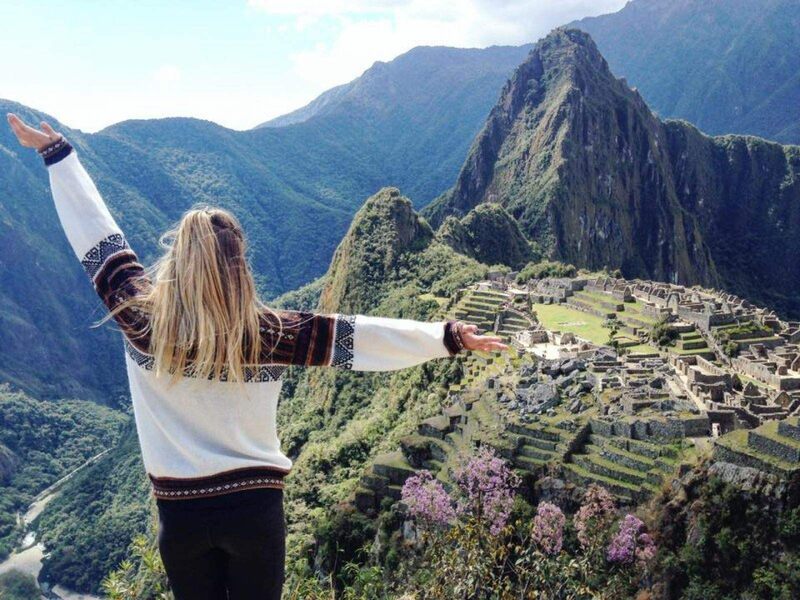 The best way to visit the city is to buy the pass which allows you to see 5 cultural places such as temples, old houses and city halls. It only costs 120 000 VND (5.30$) and is totally worth it! 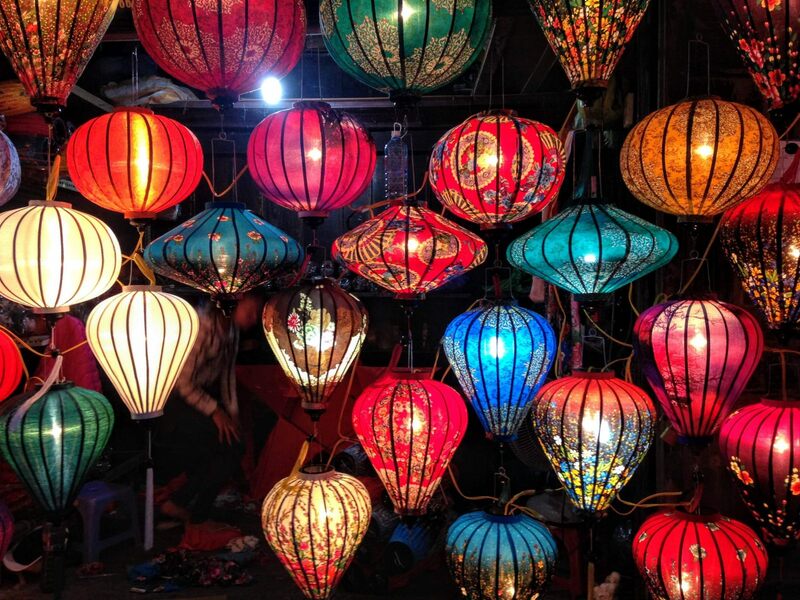 Hoi An is also known for its lanterns so if you really want to enjoy the city as its best, you should definitely take a night walk around the river and inside the Ancient Town. rest of the day in An Bang beach where I am sure you will enjoy a little walk on the shore or even a refreshing bath in the sea! 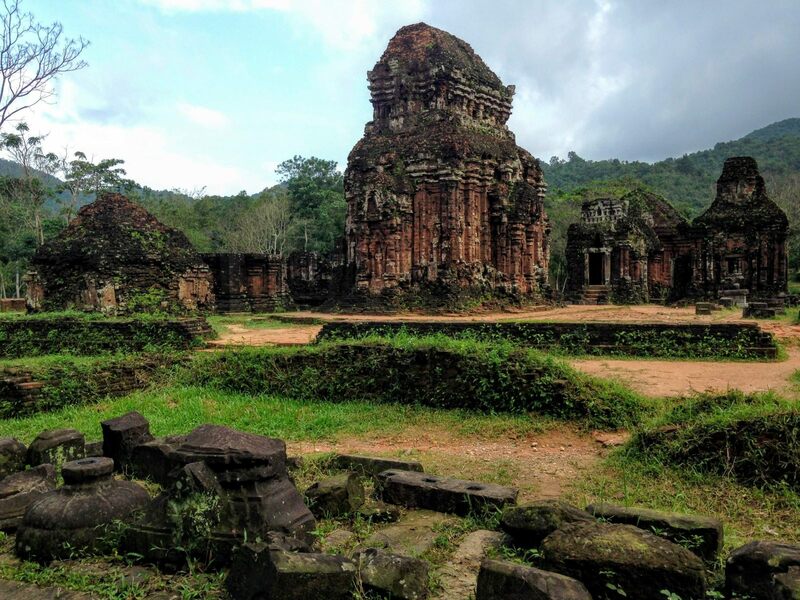 Only 1-hour driving from Hoi An stands another UNESCO World Heritage Site but completely different from the previous one. Mỹ Sơn Sanctuary is a vestige of Chams temples which were the symbol of the Hinduism religion in South-East Asia during almost eight centuries (from the 4th to 13th Century). Entrance fee is 150 000 VND (6.70$). You can rent a motorbike for 100 000 VND (4.50$) to go there, It will be cheaper than going with private transportation, and you're free to drive somewhere else after your visit, like Da Nang which is only 60 kms from there! 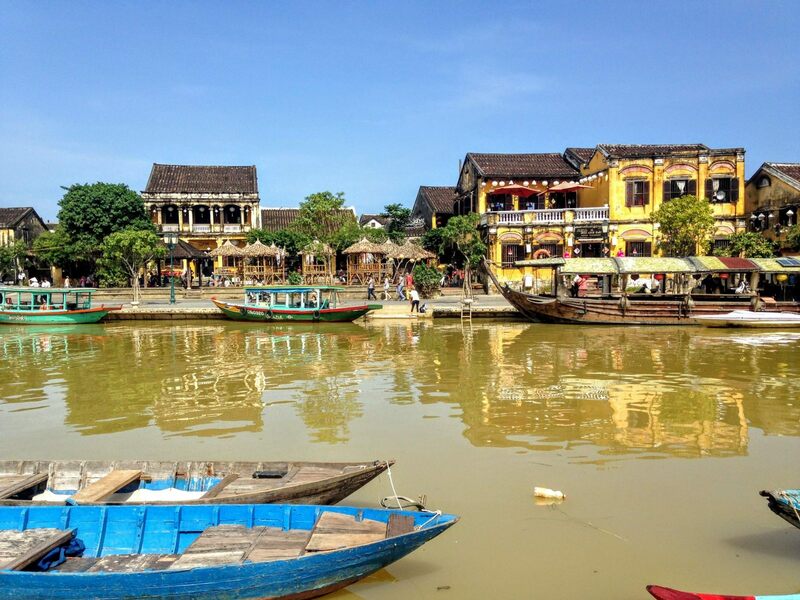 Because Hoi An is a UNESCO World Heritage Site, you won’t find any accommodation in the Ancient Town. You also need to know that most of the hotels nearby are quite expensive. We recommend you to stay at Rice Village Homestay , it's the perfect place to enjoy everything Hoi An has to offer. You will wake up in the middle of rice fields far from the crowd, a free breakfast waiting for you, and then you will be ready to wander around with your free bicycle. Yes, you read well. Breakfast is included in the price of your hotel room, and it’s really delicious! You will also have a bicycle at your disposal for free during your whole stay. The Ancient Town is only 15 minutes as well as the beach, and because you are in the countryside, you can also easily discover the surroundings with no tourists at all. I guarantee you! A double room with private room is 230 000 VND (10$). 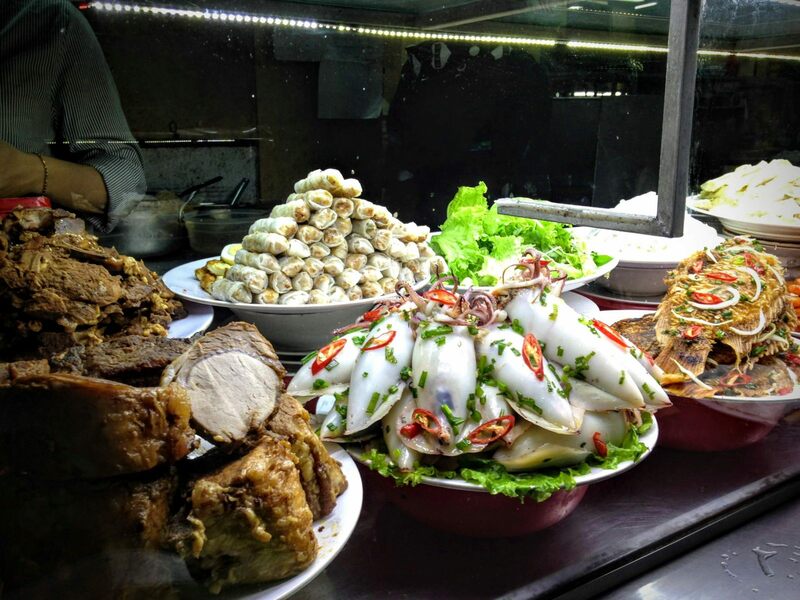 An is full of regional specialties you must taste such as (1) the cao lầu is the most popular dish and is made of a local variety of noodles, pork, salad, rice crackers, mint and soy sprouts, (2) the bánh bao and bánh vac also called white rose are dumplings made of rice stuffed with crab and shrimps, or pork and mushrooms, (3) the wonton looks like a taco but it is made with rice flour and topped with shrimps, pork, egg, onions, tomatoes and spices, (4) the mi quang is a mix of flat rice noodles and yellow broth, usually served with chicken, pork or shrimps. Of course, these ones are just examples because you have a lot more to eat there!